The moving of the address bar in Chrome has now passed from Dev to Beta, thanks to the latest Chrome Beta update on Android. This change first showed up a couple of months back in Chrome Dev, but the thing with Dev builds is you never know if Dev changes will survive onto the next, more stable version. This bottom situated address bar, also known as Chrome Home, appears to be sticking around for a while. Confused at the change I’m talking about? Take a look at the screenshots below of the latest Chrome Beta (v61.0.3163.51). As you’ll notice, the address bar is now located at the bottom of the screen. The layout of it hasn’t changed, only the location. 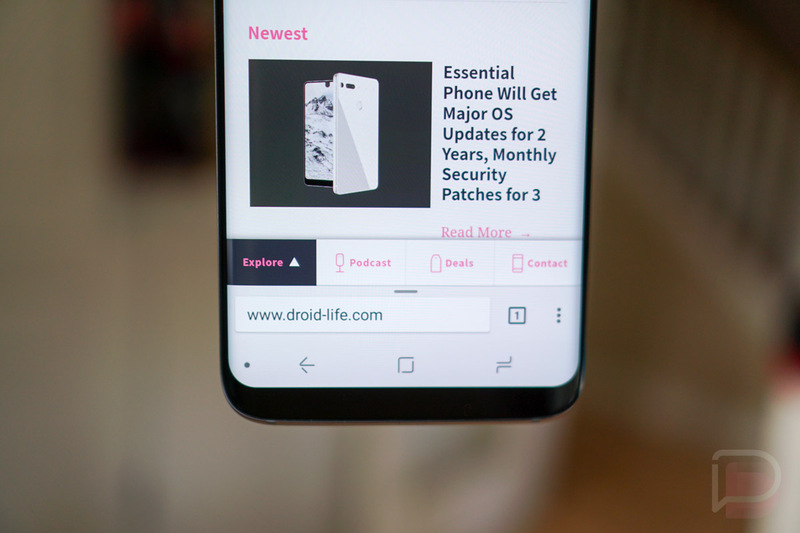 Additionally, you can now do a half-swipe up on the new address bar to access your website shortcuts, or go full-wipe to bring up a full-screen page with stories you may be interested in. Either swipe will also show you a bottom menu for Home, Downloads, Bookmarks, and History. For those curious, the new “New Tab” page is the half-swipe screen below on the left. You’ll find shots of the new incognito and tab preview pages too. OK, so what if you want no part of this new default setting of the Chrome Home and its bottom address bar? You can opt-out, for now! To turn it off and bring your life back to normalcy, head into chrome://flags. You’ll then want to search for “Chrome Home,” where you’ll be able to switch it from “Default” to “Disabled.” That should do the trick. Everyone seeing this change yet? I know Tim hasn’t quite experienced this…whatever it is.